Matt Lembke, one of five Bradley Arant Boult Cummings lawyers to have clerked for the Supreme Court of the United States, has the broad range of skills necessary to be effective in representing clients at both the trial and appellate levels. He has applied those skills for more than 16 years in dozens of high-stakes cases. Matt has extensive experience in handling appeals pending in both state and federal courts, including arguing cases in the Alabama Supreme Court and the D.C., Fifth, and Eleventh Circuits. At the trial level, Matt has tried cases to verdict in both state and federal courts. 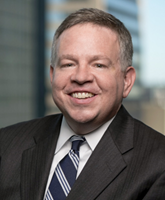 In recent years, he has been heavily involved in cases involving interstate water rights, environmental contamination, and complex commercial and securities litigation. Matt works closely with each client to formulate a creative, cost-efficient strategy to achieve the client’s objectives.